Empower. Inspire. Entertain. 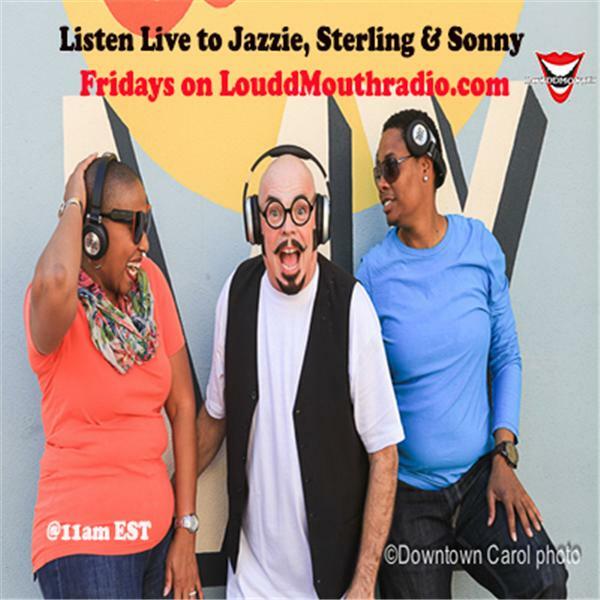 The Louddmouth Radio Network is a online radio channel covering everything from day to day life to all forms of entertainment, from comedy to film and all arts in between. Today's Episode: Janay Boucan is a real estate investor, property manager, a real estate agent, social worker, and an author and she has been investing in real estate since 2015. She is the proud owner of SJB Investments, LLC, a company that purchases and renovates abandoned properties in the Metro Atlanta area. Ms. Boucan purchases properties near the Atlanta Beltline, the Mercedes-Benz Stadium, and local colleges and universities and then sells these properties to families and/or leases these properties by room to college students. Janay has worked hard maintaining these properties and ensuring they are safe and comfortable for students and families. Follow Her: www.janayboucan.com Facebook.com/janayboucantherealtor Twitter.com/janayrealtor Instagram.com/janayrealtor Linkedin.com/janayboucan T.E.A Time- A acronym for The Entrepreneurial Academy -slogan "Thrist For Enrichment & Achievement For Your Small Business Development is a interactive project developed by LouddMouth Radio Producer S. Sonny Jones-Smith to provide tools & resources to new & existing entrepreneurs throughout the world through the LouddMouth Media Brand. LouddMouthradio.com reaches listeners online on multiple dynamic podcast platforms such as http://stitcher.com & itunes.com http://tunein.com reaching over 250 million+ active monthly listeners & 7 million in car dashboards. Today's Episode: Quality Cuts Barbershop of McDonough, Georgia, A Community Barbershop located in the McDonough Square! Providing Quality Hair Cuts with exceptional customer service! We service ALL hair types!!! Proudly Serving the Henry County, McDonough area for over 3+ years, Quality Cuts is open 7 days a week, with convenient hours to serve its local community. Located at 35 Atlanta St. Suite 5a in McDonough, Georgia just steps away from the Courthouse. Follow them online at: http://www.qualitycuts.shop Facebook: https://www.facebook.com/QCbarbershop/ http://Instagram.com/qc_barbershop T.E.A Time- A acronym for The Entrepreneurial Academy -slogan "Thrist For Enrichment & Achievement For Your Small Business Development is a interactive project developed by LouddMouth Radio Producer S. Sonny Jones-Smith to provide tools & resources to new & existing entrepreneurs throughout the world through the LouddMouth Media Brand. LouddMouthradio.com reaches listeners online on multiple dynamic podcast platforms such as http://stitcher.com & itunes.com http://tunein.com reaching over 250 million+ active monthly listeners & 7 million in car dashboards.